Master the art of drawing a variety of animals with this fun, playful interactive guide, featuring more than forty cute and clever color illustrations and step-by-step guidance to help you complete each work of art. 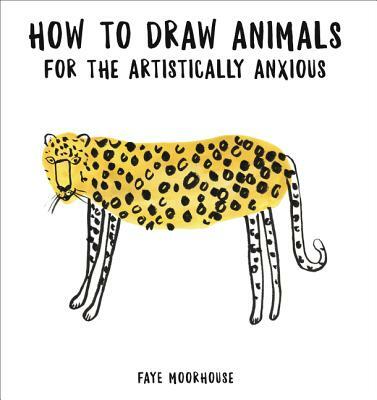 Charming, witty, and inspiring, How to Draw Animals for the Artistically Anxious breaks down the drawing process to help budding artists of all ages improve their skills and boost their confidence. Each entry features the body of an animal painted in watercolor, accompanied by a corresponding page of suggested facial and body features, hairdos, and adornments you can use to finish the work. The regal peacock, for example, includes legs, a crest, fabulous feathers, and a list of moody eyes and beaks to choose from, including "snooty," "vexed," "troublemaker," and "buzzing." Capture a group of adorable meerkats "just chillin’," or in "DANGER!" mode—standing upright—and individualize their expressions, from "daydreamer" and "cheeky" to "anger issues" and "bored now." With more than forty animals to sketch, How to Draw Animals for the Artistically Anxious includes fun and accessible exercises to help aspiring artists and animal lovers of all ages practice and improve their drawing skills, dazzle friends and family, and create their own special art.